New to Xequence and while I understand how to make the drum maps, somehow I’m missing it with Patterning 2. I’ve got the eight blocks done, but for the life of me can’t figure out which notes the drums fire on. I thought it would be the same as listed under Patternings track output midi tab, but seems not. Would love Xequence to do a mapping for this one anyway, as it must be one of the most used drum apps? By default the drums fire on the white keys starting with C5. You first have to generate the midi mappings from the record page. 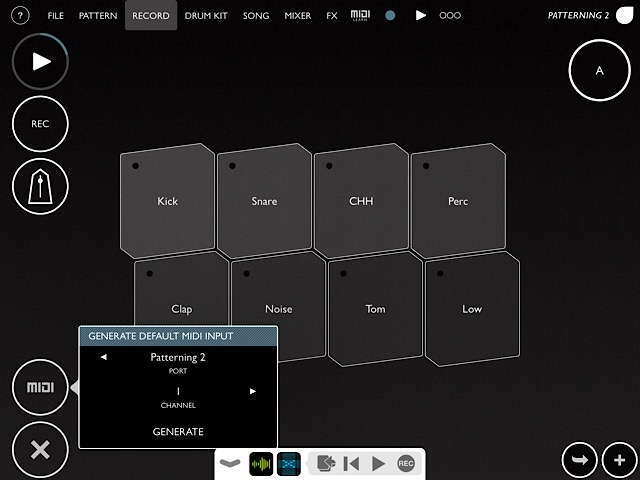 Or, you can midi learn them to any pads you want from that same page.